I was lucky enough to get the chance to chat with Chris Duffin about training recently. It was a great conversation because we both have a similar mental approach to training: if we’re going to make it worthwhile, we need to go into the gym with a very concrete goal in mind. And the more frequently we do that, the better. While light days have their place in any sound training program, they’re just not fun. But as Chris pointed out, training doesn’t always have to be fun. 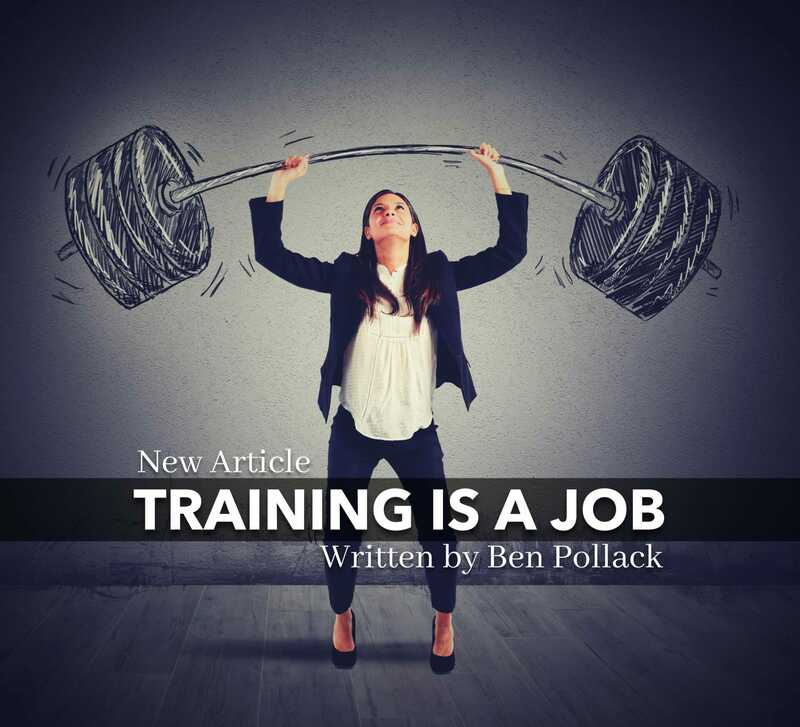 He put it really simply: training is your job. I love that analogy, because I think it captures the essence of what makes a successful program and a successful lifter. In the rest of this article, and in the video below, I’ll go into more detail about what that means, and how you can apply it to your own plan. Consistency is the name of the game when it comes to strength, and just like you can’t skip work because you’re “not feeling it,” you can’t skip training without a good reason, either. Of course, just like you might take the occasional sick day from work when you have the flu, there are legitimate reasons to pass on the gym. If you’re sick, injured, or you have a really significant life event that precludes you from following your plan, you’re not going to help yourself by trying somehow to train anyway. First, remember that consistency requires avoiding extreme highs and lows. Yeah, I know how tempting it is to go off-program when you’re feeling good and to knock out an AMRAP on heavy deadlifts instead of your scheduled doubles at 85%, but remember: you want to come into the gym feeling good tomorrow, too — and the day or week after that. Taking this kind of long-term view will help you to avoid overreaching that, when not planned, can easily derail a training routine. Second, work as hard on your recovery as you do in the gym Gaining strength (and muscle) over the long haul isn’t just about training — it’s about balancing your training with your recovery, and the more you can do to improve your recovery, the more your training will improve, and the faster you’ll see results. Avoid overusing stimulants. Dave Tate has a great explanation of why typical caffeine-filled preworkout products can derail your training. If you need a boost for your training, start with a non-stim option like VasoBlitz, and stack it with a minimal amount of caffeine (like a cup of coffee or two) — not every adrenal-frying substance under the sun. Look, I’m a firm believer in the idea that you should enjoy your job — but no matter what you’re doing, it’s still a job. 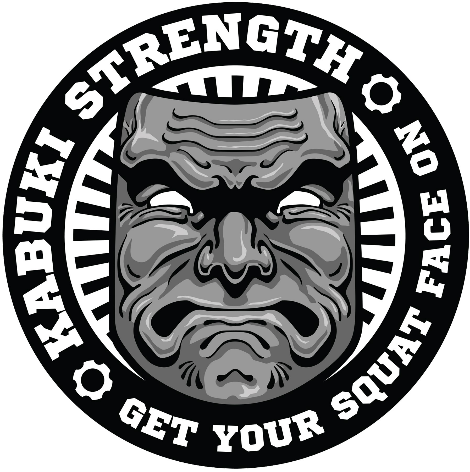 I’ve worked for Google, studied under one of the world’s foremost authorities on strength, and now I’m a professional powerlifter and coach. Each one of those was, at the time, a dream job, and each one had parts that really kind of sucked. Training is no different. Yes, you should enjoy your training, but if you’re really serious about improving, there will be times that you have to do things you don’t want to do. And there’ll be times when you need to forego doing things you want to do. Those times won’t be the most enjoyable, but they’ll help you to achieve more rewarding outcomes than would be possible if you were to just do whatever the hell you felt like all the time. Personally, I hate training grip. I think it’s boring as hell. But when I missed my deadlift opener on grip at the US Open this past year, you better damn well believe I had sucked it up and hit my grip harder during the offseason. I get that finding the discipline to deal with drudgery in the gym is difficult. If you’re struggling, I highly recommend taking up a mediation practice to help you both identify the thoughts and emotions that lead to impulsive or undisciplined lifting. Besides being a good idea for overall mental health, research shows that mental training can significantly improve both enjoyment of and adherence to physical training. Ever had one of those office jobs where your responsibilities took about 45 minutes a day, and you were somehow expected to fill the rest of your time productively — without any guidance from your manager? If you’re like me, “productively” ends up being another 45 minutes working on random, unnecessary projects that never get finished, an hour of managing your fantasy lineup, and five hours of polishing up the resume and surfing Monster.com. It’s not much different in the gym. You can try to develop goals, deadlines, and training programs all by yourself, but no matter how strong or experienced you are, it’s easy to get overwhelmed or distracted and end up squandering your time. Instead, you might be better off finding a good coach who cares about you and your priorities, but who also has the knowledge and experience necessary to organize your training for long-term success. Take a look at this summary of the factors involved, and it’s easy to understand why “going it alone” is often a synonym for “spinning your wheels,” whether it’s at work or in the gym. 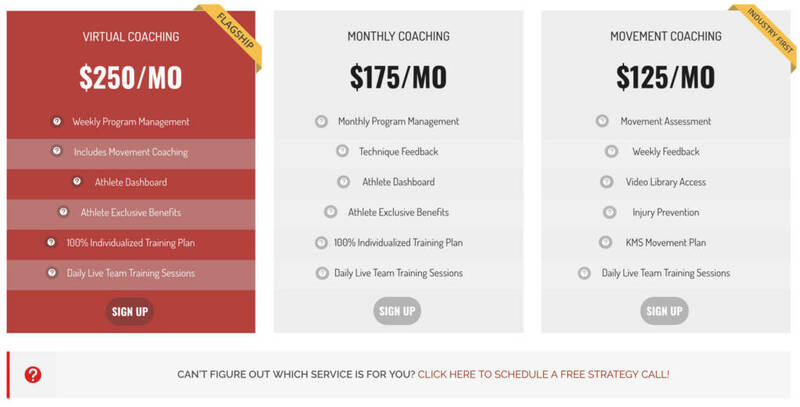 Need a coach? You’ve already come to the right place. Don’t get me wrong: it’s okay to skip days in the gym for a good reason. You should enjoy your training most of the time. You can do really, really well training on your own — but you might do a bit better with a coach. None of the points above are hard and fast rules. But here’s one thing that I really believe is going to hold true for everyone: if you treat training casually, you’re not going to get optimal results. Treat your training like your job, and you’ll accomplish a whole hell of a lot.